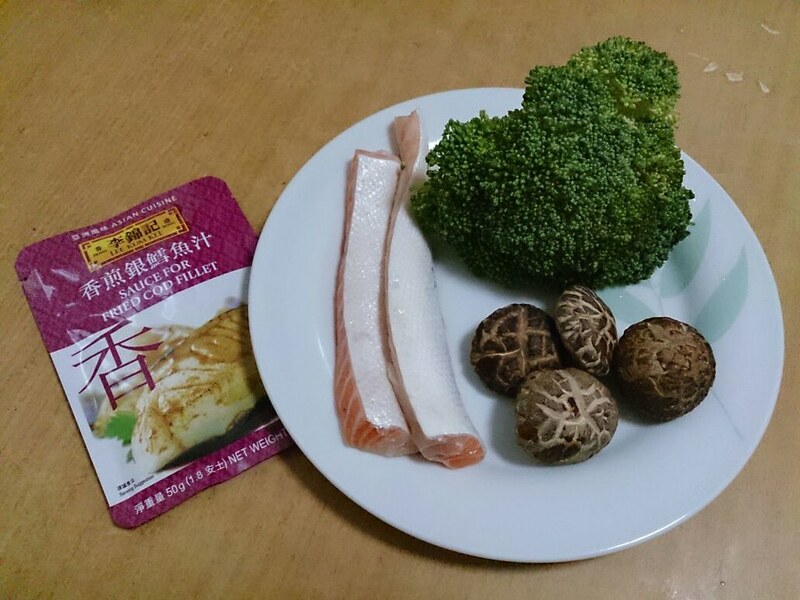 The next dish I prepared using one the the many Lee Kum Kee sauces is the Baked Salmon with Broccoli and Mushrooms with Lee Kum Kee's Sauce for Fried Cod Fish. Cod fish and salmon are the 2 fish that I use all the time. I would put my preferred vegetables underneath the fillet and then simply put the entire oven pan into the oven. I love the fact that I could use the fish oil rendered from these fatty fish to roast the vegetables underneath. Cooking this dish is almost hassle free. I soaked some dry mushrooms the night before. You may use the fresh ones if you are cooking for a larger portion. Since I only cook just a small portion for myself every now and then, dry mushrooms are hence a better choice. Instead of cod fish fillet, I used salmon belly strips instead. 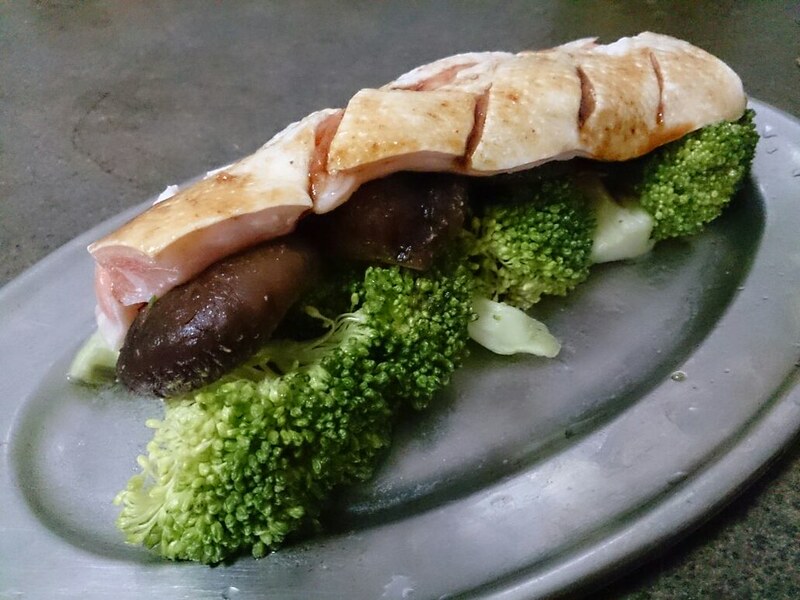 I placed them on top of the broccoli and mushrooms which I had stacked neatly on the oven pan. Once done, I glazed the salmon belly with a tablespoon Lee Kum Kee's Sauce for Fried Cod Fish. You may adjust the amount to your own preference. After 20 minutes in the oven in 250 Degree Celsius, it's done! 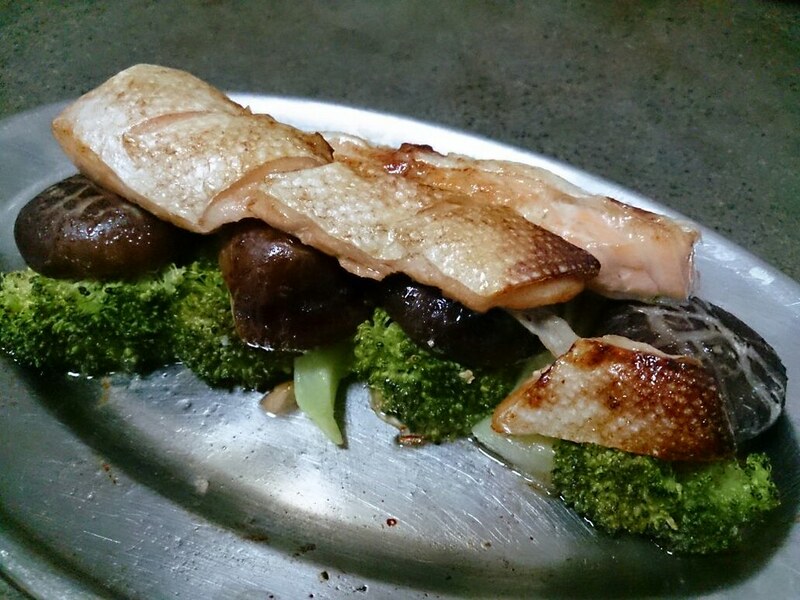 The salmon skin charred at some areas due to the sauce and the taste is akin to Teriyaki. With its juice seeping into the vegetables during the baking process, the vegetables were tasty even without any seasoning. You can choose to bake longer if you want the salmon to be crisper. 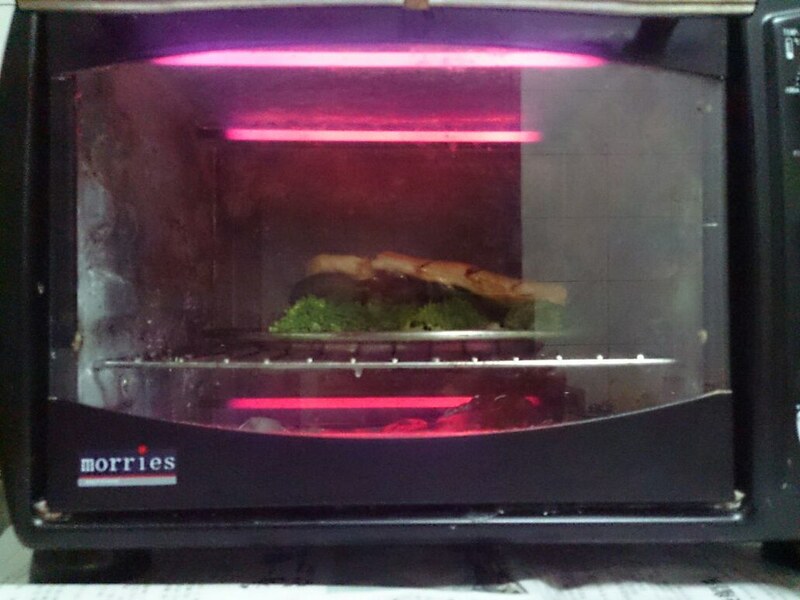 The broccoli and mushroom won't get burnt, they would only turn softer. The same goes to the used of other vegetables. 1) If you are using dry mushrooms, soak them overnight.